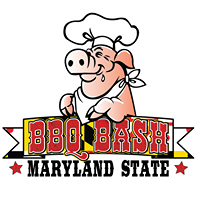 The Maryland Libertarian Party will have a booth at the annual Maryland BBQ Bash, being held in downtown Bel Air, MD on Friday, August 10 and Saturday, August 11. The event runs from 4 – 10 pm today, and noon until 10 pm on Saturday. MDLP candidates attending the event include Jenica Martin (US House 1), Shawn Quinn (Governor), Chris Randers-Pehrson (State Senate 35), and Tom Ashwell (Harford County Circuit Court Judge). The booth is #18, and is located on Hayes St.